Rest in peace, Muneca. You deserved much better. 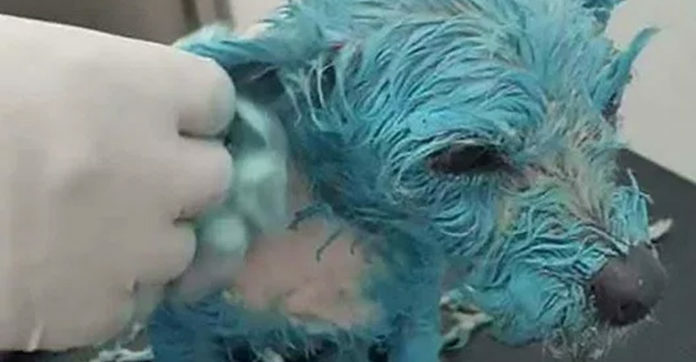 In a horrifying act of cruelty, a terrier dog was tortured and killed by a heartless man, with photos of the event shocking the Internet after they were posted online by an unknown man. Named Muneca, this poor dog, whose name means “doll”, was discovered in a warehouse in Morelia, Michoacan – an agricultural area in Western Mexcio known for its severe violence against animals. The pup later passed away while under the care of a vet. Photos of the event were posted on social media by a user known as Carlos Manuel Jimenez, though no one can be certain if this is indeed his real name. 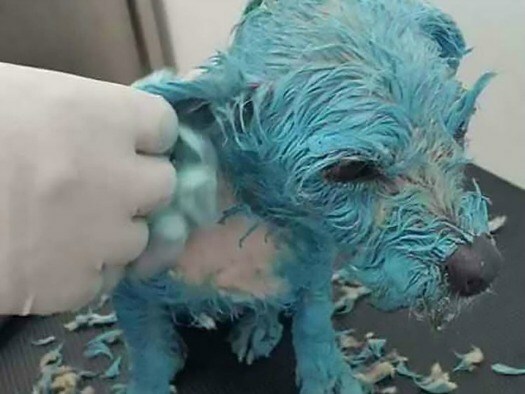 The post showed the poor, suffering dog being painted blue, and then forced to drink a solvent and paint that would have likely caused poisoning. The pup was then stabbed with an ice pick. She was then dumped in the warehouse where she was later found. The sociopath must be stopped, and many have raised concerns that if he so easily hurts animals, he may not be opposed to harming humans.